The announcement came after an extensive review that lasted about 30 months, and began with Lancaster Museum of Art going through “a period of introspection” that led them to reach out to the Demuth Museum to explore how they might work together. The new nonprofit entity, which still needs to be approved by the state and may not be official until early in 2015, will be led by Anne M. Lampe, who has been executive director and chief curator at the Demuth since 2005. Among the efficiencies to be realized will be a reduction in total staff, from six at Lancaster and four at Demuth to a total of six. While each museum will maintain its own exhibitions and educational programs, these will be better coordinated, and will allow in some instances for visitors to experience two different takes on a single concept. The two facilities are just blocks away from each other. Charles Demuth (1883-1935) was a Lancaster-born artist whose family lived in the house that is now home to the museum, one of the oldest homes in Lancaster, dating to the late 18th century. Although he studied and painted in Philadelphia, New York, Provincetown, Paris, and Bermuda, Demuth created most of his finished artworks in his Lancaster home. 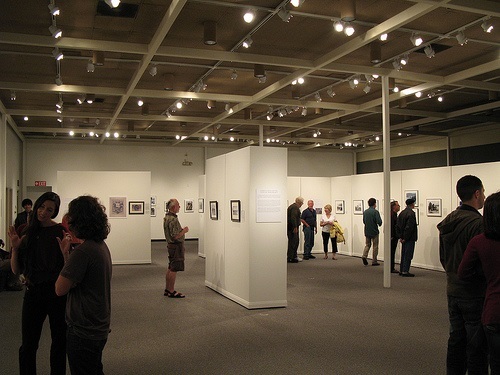 The Demuth Museum, which opened in 1984, has 46 of his originals, the largest collection of his work in any one place. Its exhibitions and programs focus on Demuth and his contemporaries. In addition to the public announcement of the merger—made by Lampe, mayor Rick Gray, and president & CEO of the Lancaster County Community Foundation Sam Bressi—the merging organizations posted this video, featuring three board members explaining the rationale for joining forces—a nice touch, and one that emphasizes the shared sense of community and highlights the due diligence behind this nonprofit merger.